Heidi Breyer’s first encounter with music happened when she was a mere two years old. There, dancing in a paper flower skirt, she and harmony became one. In her newest two CD set, Letters From Far Away you can still see the little girl dancing and smile. In this unique compilation, Heidi has taken two sets of songs and breathed both instrumental and piano solo sound into them. Each set of pieces has its own flavor depending on the mood of the listener. An award winning artist for many of her past works; this is Heidi’s first solo album. The first piece on the album is “All the Good Things.” Both the instrumental and piano solo versions hold a light that shines deep into the soul of the artist. Music and beauty are one with each unwinding note. 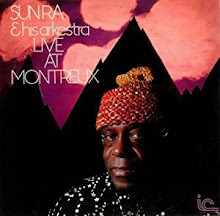 The instrumental version holds elegant multi-instrumentation that adds a splash of color I found especially appealing. The sorrowful sighs of string instruments take the listener by the hand and lead them out onto the dance floor to sink into the essence of the music. 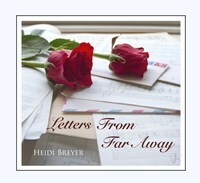 “Letters from Far Away” made me think of hidden trunks and discoveries of love affairs long past. Of finding things out about loved ones and realizing they too had lives before us. Both versions of this piece are poignant, with the solo piano version all the more stark for lack of busy instruments in the background. “Small Café” was reminiscent of sidewalk cafes where a walk was an adventure and the journey all the more important for the destination at hand. The solo piano version has a peculiar audio thunk at the onset, but it did not detract from my enjoyment of the album. In fact, I have been playing it nonstop since I received it. Think Paris and sipping a coffee or perhaps a walk to an ice cream shop where the seating is outdoors. The physical world and music meet, forever intwined. Heidi Breyer has given us much to think about in this dual CD experience. In the solo version of Letters From Far Away you get a crisp listen to piano solos with no distraction. This lineup is more stark and clean and provides an excellent stage to set the scene for your mind’s eye. The instrumental portion is the glittering highlight that takes the extra step and illuminates the world. It is the cursive in writing, the curl in your hair and the sweetness as the hot chocolate (or as this is summer- cold mocha) goes down.